The NSA’s collection of phone records was recently ruled illegal by the U.S. Appeals Court What Does the NSA Court Ruling Mean for You and The Future of Surveillance? What Does the NSA Court Ruling Mean for You and The Future of Surveillance? A US appeals court has ruled that bulk collection of phone record metadata by the National Security Agency (NSA) is illegal. But what does this mean for your privacy? Are you still being watched? Read More . Security has been a big buzz word for the past few years Lessons Learned From Don't Spy On Us: Your Guide To Internet Privacy Lessons Learned From Don't Spy On Us: Your Guide To Internet Privacy Read More and these kinds of rulings remind us that we can never, ever be too careful. In fact, think about the browser you’re using to view this article right now. Is it safe? Is it secure? How many websites are pulling information about you without your knowledge? And what is your browser doing to stop it? You’d be surprised by those answers. 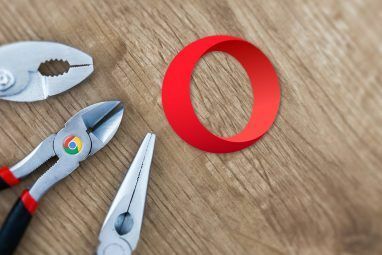 Let’s forget about browser benchmark comparisons Browser Wars: Firefox vs. Chrome vs. Opera, The Definitive Benchmark Browser Wars: Firefox vs. Chrome vs. Opera, The Definitive Benchmark If you could only choose one browser, which one would it be? Which is best: Firefox, Chrome or Opera? We'll show you. Read More for a second. Firefox is the only true open source browser of the major five — IE, Firefox, Chrome, Opera, Safari — and if you have no trust in browser companies at all, it’s the one you’ll want to use. But an open source browser isn’t enough on its own. You need to bulk up with a handful of powerful addons. We’ve covered Firefox security addons 10 Best Firefox Security and Privacy Addons 10 Best Firefox Security and Privacy Addons Read More in the past, but a lot has changed since then. Here are the modern-day essentials that you need. HTTPS Everywhere is the king of all privacy addons. It’s developed as a collaboration between the Tor privacy project Really Private Browsing: An Unofficial User’s Guide to Tor Really Private Browsing: An Unofficial User’s Guide to Tor Tor provides truly anonymous and untraceable browsing and messaging, as well as access to the so called “Deep Web”. Tor can’t plausibly be broken by any organization on the planet. Read More and the Electronic Frontier Foundation, which is an organization that fights for rights in a digital world. But what is HTTPS What Is HTTPS & How To Enable Secure Connections Per Default What Is HTTPS & How To Enable Secure Connections Per Default Security concerns are spreading far and wide and have reached the forefront of most everybody's mind. Terms like antivirus or firewall are no longer strange vocabulary and are not only understood, but also used by... Read More ? In short, it’s a more secure web-browsing protocol that encrypts all of the web data that’s transmitted between the server and your browser using SSL/TLS. So, even if someone intercepts your connection, they won’t be able to read the data. HTTPS Everywhere forces HTTPS all the time. Even if a particular web page doesn’t support encryption, the addon can get around it by rewriting the requests behind the scenes. It’s a must-have Firefox security addon Use These 6 Extensions To Improve Privacy & Security On Firefox Use These 6 Extensions To Improve Privacy & Security On Firefox You are being watched on the Internet – but if you use Mozilla Firefox, some of its great add-ons can help protect your privacy and security on the Web. Read More . Don’t skip it. Ghostery is one of the big three security addons that some consider to be evil AdBlock, NoScript & Ghostery - The Trifecta Of Evil AdBlock, NoScript & Ghostery - The Trifecta Of Evil Over the past few months, I've been contacted by a good number of readers who have had problems downloading our guides, or why they can't see the login buttons or comments not loading; and in... Read More , at least from the perspective of a content producer. Long story short, it blocks web trackers so that companies like Facebook and Google can’t track your activity. One thing to note is that Ghostery has recently come under fire as a somewhat deceptive addon. 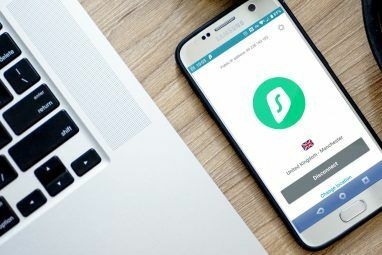 While it does block web trackers from gathering your personal information, it also has an opt-in feature (“Ghostrank”) that anonymously sends your information to advertisers. If you don’t opt in, no harm done, so feel free to install it and disable Ghostrank. However, it’s easy to see why some people are up in arms about this potential conflict of interest, so they may advise that you stay away from Ghostery for good. Like Ghostery, Disconnect is an addon that blocks web trackers from gathering your personal information. It’s so good that Popular Science even named it as one of the top 100 innovations in 2013. If that doesn’t earn it a good dose of credibility, I don’t know what will. Because it blocks tracking elements from over 2,000 sources, Disconnect claims to speed up page loading by upwards of 27%. That’s a pretty significant gain, especially because it’s on top of the security and privacy it already offers in the first place. Definitely a keeper. 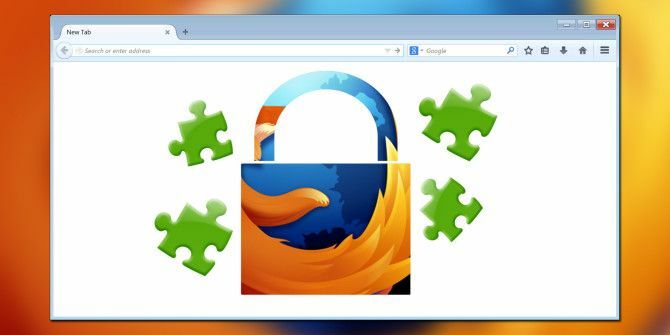 NoScript is a Firefox security addon that we’ve been recommending since 2008 Keeping Safe on the Web: 8 Firefox Addons for Privacy and Security Keeping Safe on the Web: 8 Firefox Addons for Privacy and Security Read More . As the name implies, this addon prevents active scripts from running on websites unless you grant permission to them. Marginally inconvenient, yes, but massively more secure in the long run. uMatrix is a relative baby when compared to the rest of the addons on this list, but it’s one worth looking into if you want an edge in security. Simply put, it’s a dynamic firewall that allows you to toggle various defenses whenever you want. These firewall options show up as a colored red-and-green matrix and all you have to do is click on the features you want to toggle. It’s a bit more advanced than a straightforward blocker, but the steeper learning curve allows for more power and flexibility in the end. Formerly known as DoNotTrackMe, Blur is one of the best addons for protecting your data. Not only does it block companies from collecting information about you, it also manages and protects your sensitive details like password credentials and payment information. Regarding passwords, Blur will one-click generate touch-to-crack combinations and will immediately encrypt and store them safely for later. Regarding payments, Blur lets you purchase online without ever giving away your credit card information by providing disposable masking credit cards through Abine, Inc. This feature is only available for premium users, which can be purchased for $5 per month. Most modern browsers have built-in password management Which Browser Has The Better Password Manager? Firefox vs. Chrome vs. Internet Explorer Which Browser Has The Better Password Manager? Firefox vs. Chrome vs. Internet Explorer Although there are a variety of dedicated password management tools, every modern browser has its own built-in password manager. But just how good are the built-in password managers? We'll look at how each popular browser's... Read More , but they’re rarely as good as dedicated solutions. Take KeeFox for instance, which is the browser variant of the renowned password manager, KeePass KeePass Password Safe – The Ultimate Encrypted Password System [Windows, Portable] KeePass Password Safe – The Ultimate Encrypted Password System [Windows, Portable] Securely store your passwords. Complete with encryption and a decent password generator – not to mention plugins for Chrome and Firefox – KeePass just might be the best password management system out there. If you... Read More . Start using it if you aren’t already. In essence, KeeFox is a full-blown replacement for the built-in Firefox password manager. Just be aware that KeeFox will not work correctly if you have Firefox set to clear passwords every time it closes. LastPass for Firefox LastPass for Firefox: The Ideal Password Management System LastPass for Firefox: The Ideal Password Management System If you've not yet decided to use a password manager for your myriad logins online, it's time you took a look at one of the best options around: LastPass. Many people are cautious about using... Read More is a well-known alternative to KeeFox and it works great as well. However, KeeFox is open source and completely free, so it’s the one I prefer. Feel free to use whichever one you think suits you best. When you visit the addon page for BetterPrivacy, you might notice that it hasn’t been updated since early 2012. Don’t let that turn you away. Despite being three years in limbo, this addon still works just as it’s supposed to. What does it do? It combats the long-term super-cookies What's A Cookie & What Does It Have To Do With My Privacy? [MakeUseOf Explains] What's A Cookie & What Does It Have To Do With My Privacy? [MakeUseOf Explains] Most people know that there are cookies scattered all over the Internet, ready and willing to be eaten up by whoever can find them first. Wait, what? That can’t be right. Yes, there are cookies... Read More , also known as Flash cookies, that companies use for perpetual tracking of your web activity. BetterPrivacy lets you view and destroy these super-cookies, which is something most browsers won’t do on their own. As far as regular cookies are concerned, most browsers offer a primitive “clear all cookies” function that can be done manually or whenever the browser closes. What if you want a bit more flexibility? Then you should install Self-Destructing Cookies. This addon allows cookies to persist until you close the tab. When a tab is closed, all relevant cookies are destroyed right on the spot. This method of dealing with cookies is especially effective against Zombie-cookies and Evercookies. If there are any cookies you want to keep, you can whitelist them. Are you tired of email spam How Do Spammers Find Your Email Address? How Do Spammers Find Your Email Address? Spam is the closest thing we’ll ever find to an Internet plague. No matter who you are, spam will one day find you and you’ll have no choice but to put up with its pestilence.... Read More ? Starting today, you can kiss email spam goodbye thanks to the advent of the Bloody Viking! addon. Look past the strange name and you’ll see a wonderful tool: one that makes it easy for you to use temporary email addresses when signing up for websites. Using services like 10MinuteMail and AnonBox, this addon provides you with a limited-time inbox where you can accept confirmation emails without risking the sanctity of your actual inbox. After a given period of time, the provided inbox implodes and disappears. Lastly we have Clean Links, a humble little addon that’s been in development since 2011. Its premise is simple: whenever it detects an obfuscated or nested link — such as you might find with shady redirection or affiliate products — it replaces it with the clean, straight version. Not much else to say about this one except that you can now rest easy when clicking on links, knowing that you’ll be able to catch dodgy links before you actually click on them. This is just the tip of the iceberg as far as Firefox addons are concerned. In fact, you should check out our Best Firefox Addons The Best Firefox Addons The Best Firefox Addons Firefox is famous for its extensions. But which addons are the most useful? Here are the ones we think are best, what they do, and where you can find them. 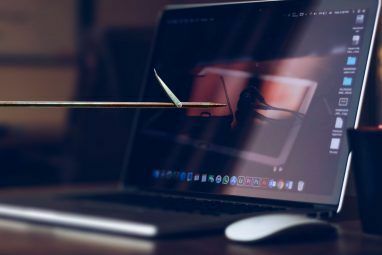 Read More page to beef up your browser even more, but be aware that too many addons can actually slow down your browser What Can You Do To Speed Up Your Browser? What Can You Do To Speed Up Your Browser? If you’re like me and you spend a huge portion of your day browsing the web then you understand how frustrating it is to have a slow, bloated browser that seems to be on its... Read More quite a bit. We know that there are plenty of other addons out there that you love but we missed. Tell us about them! Which security addons are your favorite? Which have proven most useful to you? Explore more about: Browser Extensions, Online Security. Hi, do you have updated information for 2018, perhaps in other page or blog? I use uBlock origin, Privacy Badger, Don't track me Google and HTTPS Everywhere in my android, plus Disconnect in my laptop. Are these enough? Hi, do you have updated information for 2018? Perhaps in other page or blog? I use HTTPS Everywhere , uBlock origin, Privacy Badger and Don't track me Google in my android, besides Disconnect in my lap top. It is enough? Any reccomendations? "HTTPS Everywhere forces HTTPS all the time. Even if a particular web page doesn’t support encryption, the addon can get around it by rewriting the requests behind the scenes." Is that why MUO does not offer HTTPS? Hoping that visitors are using HTTPS Everywhere? ABP and GHOSTERY are really good, highly recomended ! Blur is pretty much worthless as a tracker blocker today. I look at the details on each site (which they make difficult by hiding it behind a "show details" link instead of showing it immediately when you click on their button like they used to years ago) and there are a lot of unblocked trackers. Facebook Connect constantly shows as unblocked, even though I keep clicking block on it. Checking this very page shows FB Connect, Criteo, Viglink and Turn are unblocked. I'm uninstalling Blur and going to try Disconnect. And unfortunately, some of these addons no longer work. BetterPrivacy apparently won't even install with recent versions of Firefox. KeeFox "isn't available on my platform" (Mac). I've used HTTPS Everywhere with Chrome in the past, but cannot find it on Firefox's add-ons site !? "...strange name..."? You MUST find and watch the Monty Python Spam skit- that's the origin of the name of the add-on, and I believe of the use of 'spam' for annoying bulk emails. That's not how it works. Some sites can be accessed over either HTTP or HTTPS and don't default to HTTPS. HTTPS Everywhere forces any site in its ruleset (the default list can be viewed at https://www.eff.org/https-everywhere/atlas/ ) to use HTTPS only, but there's no way it (or any browser addon, for that matter) can force encryption on servers that don't offer it. It's still a very nice addon to have, but it's not a magic bullet. Also, as an alternative to KeeFox (which I tried and didn't like), I use PassIFox. It's probably slightly more complicated to set up but it gives me more control than KeeFox (which I like). Wonder which is the more effective blocker: Ghostery or Disconnect?? In addition to Blur, BetterPrivacy, HTTPS Everywhere I also use Web of Trust, Privacy Badger and AdBlockPlus, as well as Hosts file redirection.